Little Geniuses: Unleashing Your Right and Left Brain! 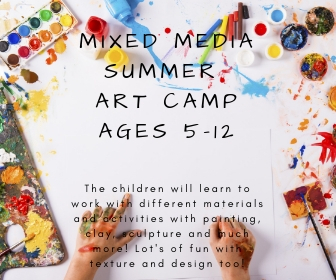 Ages 4 to 6, July 8th - July 12th from 9am - 12pm - $185 for the full week. Bring a Sibling or Friend and get a $10 discount! Enter Promo Code: BUDDY at check out. Call us about the multiple camp discount. Start each day by learning about science and engaging in fun experiments, and spend the rest of the morning working with an artist who will guide you step-by-step through a featured painting, sculpture or craft. Each session will feature different science topics and pieces of art! 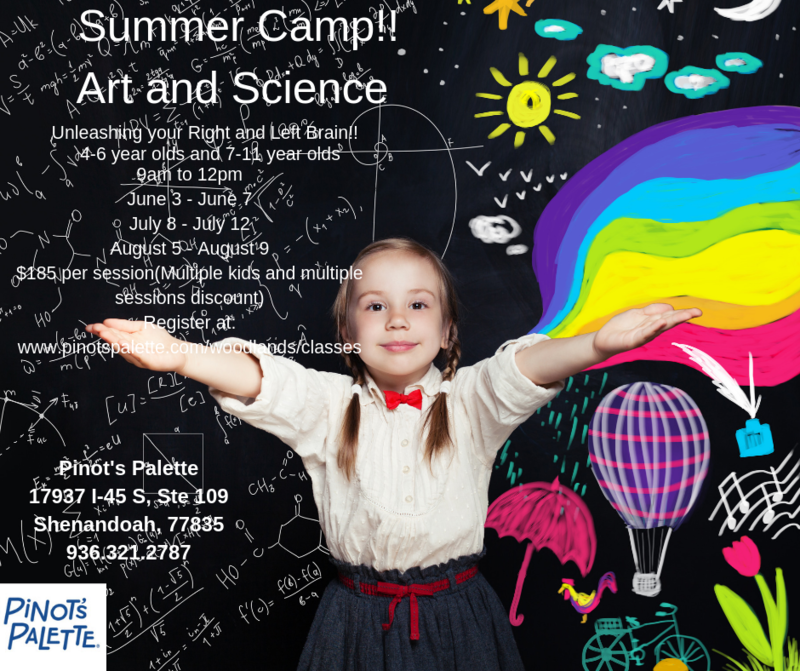 Don't miss this unique opportunity to exercise both your right and your left brain during our FUN summer camp!! Signing up is easy. Click the "Event Calendar" link to view our calendar of paintings. Select which painting you would like to paint and click "Add Painting to Cart." Follow the on-screen directions to complete the order. Contact us if you have trouble completing your order and we will walk you through the process. What days are classes held? Classes are held on Thursday, Friday, and Saturday and Sunday afternoons and evenings. We also occasionally have classes on other nights during the week & on Saturday & Sunday afternoons – view our class calendar to find out more! Weeknight classes are 2 hours and cost $28 per painter. Friday & Saturday classes are normally $30 for a 2 hour class and $38 for a 3 hour class per painter. We recommend you arrive 15 to 30 minutes before class starts to allow time for you to get settled in and mingle before the painting starts. Yes, we have your easel set up for you at your spot before you arrive for class. If you have friends attending the class that you’d like to sit by, you can let us know when you book the class or you can send us an email (…just make sure to give us at least 24 hours notice).